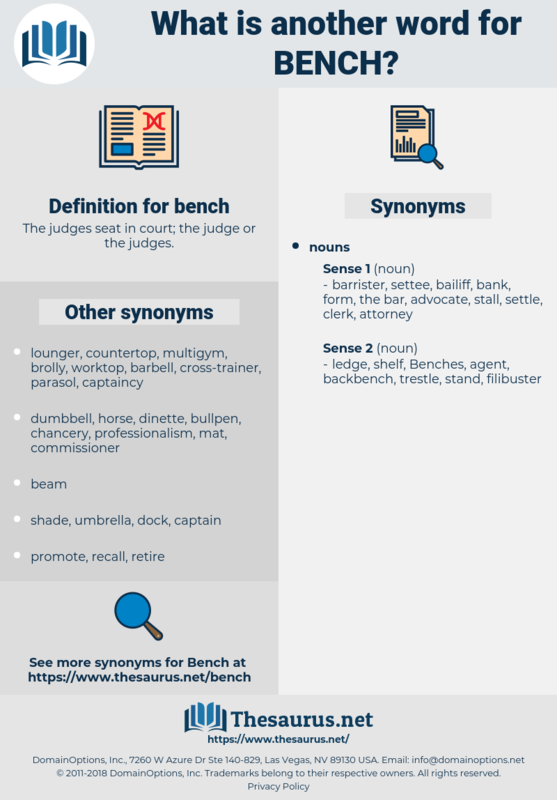 What is another word for bench? The judges seat in court; the judge or the judges. stool, fixture, benchmark, hearing, Magistrature, dynamometer. The Sergeant sat on the bench, and, supporting his rifle between his knees, he lighted his pipe. Anna's mistress came and sat on the bench close to her servant. tribunal, judicature, court, team, squad. 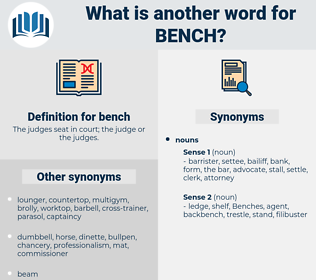 pew, prie-dieu, window seat, banquette, flat bench, settle, penalty box, settee, park bench, church bench.